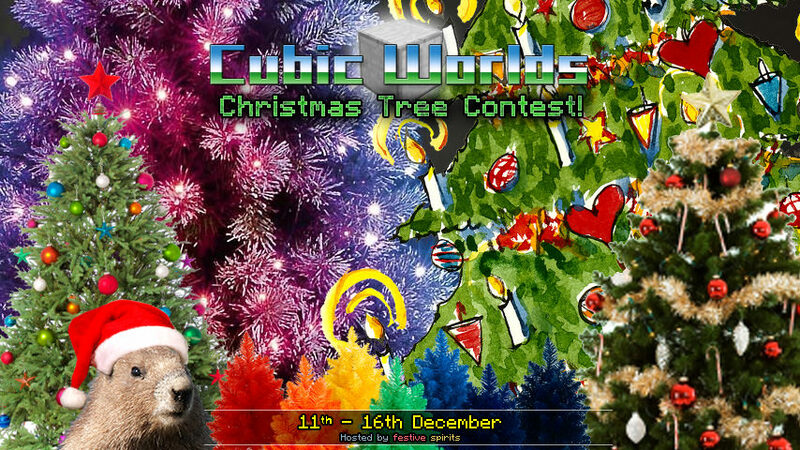 Home Cubic Worlds Christmas Tree Contest from 11th to the 16th December! Christmas Tree Contest from 11th to the 16th December! I know that not everyone celebrates the holiday season in the same way, but here at Cubic Worlds we love a festively decorated tree – and it’s approaching the time when Tesseract spawn, and indeed our fabled Christmas Isle, will need some fresh, seasonal decoration! From the 11th to the 16th of December, you’ll be able to claim a plot in the Contest world to build the most awesome sparkly shiny tree you can. The contest will run through the week right up until next Saturday so you’ll have plenty of time to perfect it! Plots are the same size as the plaza at Tesseract spawn… and you can probably guess why! One of the trees will be picked to decorate spawn, while all of the others will be used around Christmas Isle when it opens. Weekend Event 23/12 – The Annual Christmas Isle Boat Race!